Mt. Dufour maintains the hill using a NEW PISTEN BULLEY PB400 . The trails are usually groomed before every ski day. Note that conditions prior to and during skiing will have an impact on the condition of the hill and grooming will not always occur after a snowfall. Mt. Dufour regularly updates the ski conditions page at theweathernetwork.com. To visit the page, click here. Note that the ski conditions page does not indicate days that Mt. 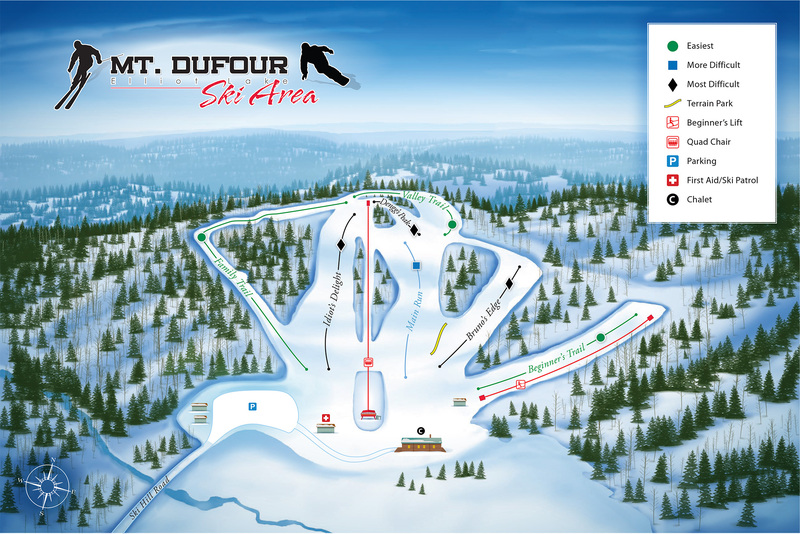 Dufour is open. For hours and days of operation, click here.